This exfoliating sea salt scrub with a blend of seaweed extracts revitalises the skin by removing dead skin cells and through this action refreshes the skin and stimulates blood circulation to the skin. 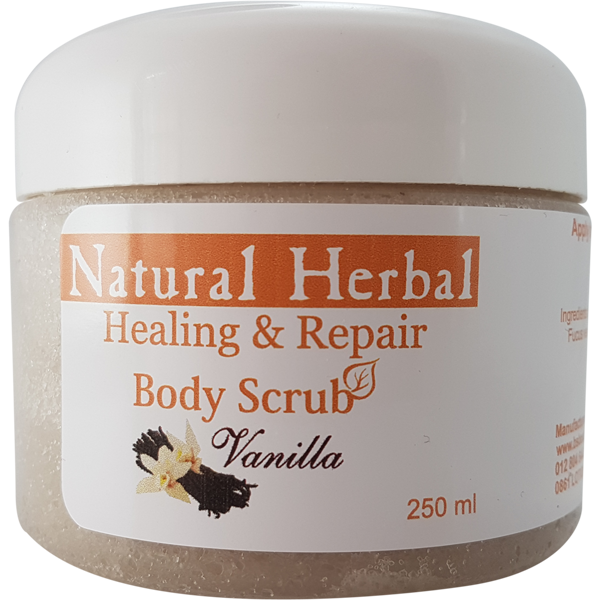 Healing & Repair Range Vanilla Body Scrub has extracts of Bladderwack, Sea tangles, Japanese and Gulf Seaweed, all of which condition, hydrate, detoxify and softens the skin. Seaweed is also known to protect the skin from free radical damage. Salt extract from the dead sea containing essential minerals contributes to the detoxifying smoothing of the skin. Apply to moist skin and exfoliate in circular motions. Rinse with lukewarm water.